Ideal habitat is critical to good populations of grouse. Go-to ruffed grouse areas are aspen trees with a broomstick to 4 inches in diameter, edges of jack pine stands and transition areas. There are three species of grouse in this region: the ruffed, spruce and sharp-tailed grouse. 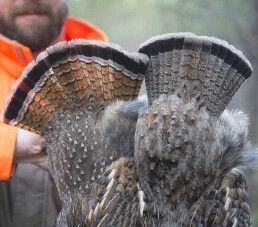 Because of their abundance and good taste, the ruffed is by far the most popular. Lake of the Woods is not what many would call a “cosmopolitan” grouse hunting area—it doesn’t get the private jets flying in for a weekend of hunting and there aren’t any overpriced hunting lodges. In these parts, it’s more about the variety of public hunting habitat that supports populations of grouse, which is ideal for hunters getting out in the woods to have the opportunity at some nice birds. He added that a wet or cold spring is also bad for survival rates, and that the last few springs have been ideal for the species. Grouse populations are on the rise and it is a great time to get out hunting. Believe it or not, there are actually three species of grouse that call this region home. In addition to the ruffed, which is the most sought-after and tastes the best, there is the spruce grouse and sharp-tailed grouse. Spruce grouse have very red meat and many hunters say they taste gamey. For this reason, they have dropped in popularity. The taste is due partly because of their diet: jack pine needles, black spruce needles, white cedar and tamarack. These birds tend to prefer stands of pine mixed with hardwoods. The sharp-tailed grouse prefers more agricultural settings, tall grasses, etc. They are in good numbers, but a hunter told me that there is so much land that it helps to know what areas are targeted, and, of course, the need to get permission on private agricultural land. Sharpies also live on pieces of public land, but will not be as readily available as the ruffed or spruce grouse. 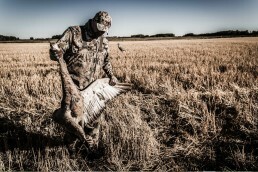 As most hunting trips, things will go smoother is you create a plan. There are tons of public hunting lands, hundreds of thousands of acres to be exact. Much of these have roads, ATV trails and designated walking trails. It is ideal to target some areas using a map. These can be located online or found at a wildlife management area. You also can ask the DNR or visit their website. Another source is Lake of the Woods Tourism in Baudette. You can email or give them a call and they will mail one out. Knowledge of habitat is the key to your success. Knowing what grouse prefer and what they like to eat can help break down large patches of land into smaller key areas. Ruffed grouse love aspen areas with a 5- to 20-year growth rate. For instance, aspen trees that are about the circumference of a broom handle or up to 4 inches are preferable to the grouse. They also like edges, specifically those on jack pine stands. The grouse’s diet consists of a variety of vegetation and insects, if available. Aspen and hazel buds, dogwood berries, insects, clover (grouse will hang out on and around trails to eat it) and high bush cranberries are all desirable to grouse. Have you ever noticed when you are hunting grouse early in the season that you can kick up small groups of them, but as the season progresses, often you might only see singles and doubles? The reason for this according to Laudenslager is that the broods break up. Located just west of Baudette, Minn. is the Beltrami Island State Forest and Red Lake Wildlife Management Area. Beltrami has over 600,000 acres. Within the forest is the Red Lake Wildlife Management Area, which is 250,000 acres. This is a lot of public land, key habitat and a place where many grouse live. This area also has a nice variety of dirt roads, ATV trails and walking trails. The LOW Chapter of the Ruffed Grouse Society partners with the Minnesota DNR to add two new walking trails each year. Walking trails are nice because they have an area to park, a map posted on a sign at the trailhead and also make a big loop so you never walk the same ground, but end up back at your vehicle. These trails are set up strategically through some excellent grouse habitat. Within this forest are small pockets of Red Lake Tribal Land. This land is off limits to hunting, unless you purchase a small game license from the Red Lake Band of Ojibwa. This land is marked on maps and on signs along the roads. Just to the southeast of Baudette lies Pine Island State Forest. This massive piece of land encompasses 878,000 acres. Some is excellent grouse territory; some is not, as there is bog land to the south. With this much area, it is helpful to identify preferred grouse habitat to save time and to increase your odds. There are a series of roads, ATV trails and walking trails through here with good maps to help you scout high- percentage areas. This forest is made up of a variety of scattered parcels of land sandwiched between Beltrami Island and Pine Island State Forests. The forest extends throughout Lake of the Wood County, making up 142,000 acres, with most open to public hunting. You will have various plots of land, such as the Carp WMA, Graceton Bog WMA, and Prosper WMA, which are all available to public hunting. Flying under the radar, these forests are small in comparison to Beltrami and Pine Island. 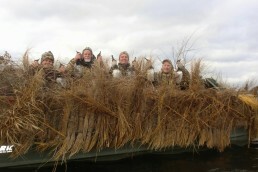 These are accessible to hunters and also hold good numbers of birds. 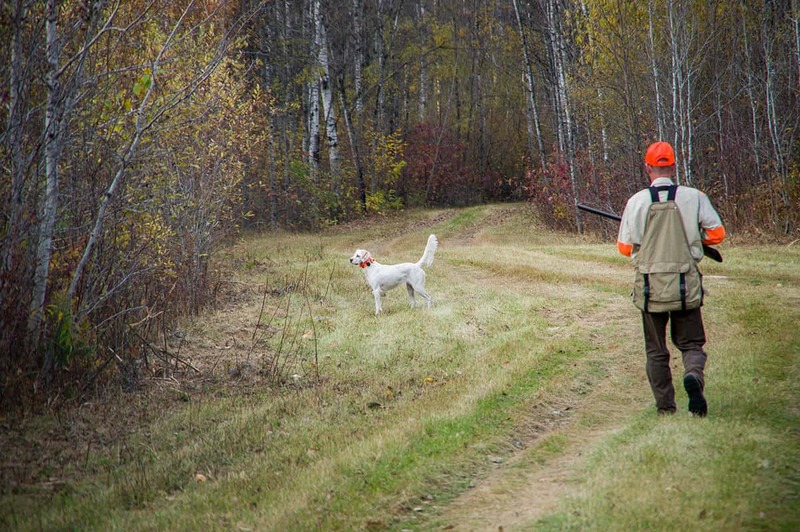 Brush up on the DNR laws around hunting in state forests and in wildlife management areas. For instance, in most state forests it is legal to use your ATV on designated ATV trails. However, you cannot use your ATV in wildlife management areas. There are a variety of dog-friendly hotels and resorts in the area. Some hunters will pull a boat and take advantage of the great fall walleye fishing or possibly bag a few ducks in the morning. Some have dedicated one day of an adventure onboard a resort charter boat and catching some nice walleyes. With such good fishing, the temptation is hard to resist. September and October in these parts are full of opportunities. With the great fishing here, other opportunities such as grouse hunting often get missed. For those who have experienced grouse hunting around Lake of the Woods, it is often the fishing that ends up playing second fiddle.